At German auction house Cortrie's upcoming sale, almost 600 lots of rare jewelry and watches will go under the hammer. At their upcoming March 16 and 17 sales, the Hamburg-based auction house Cortrie will offer 584 lots of fine jewelry and rare clocks. 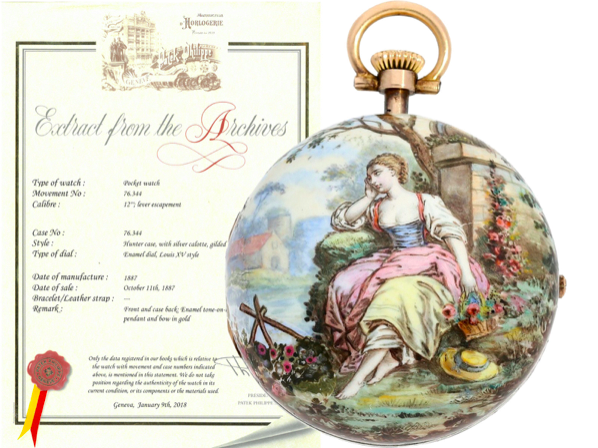 The first day of the auction is dedicated to clocks. 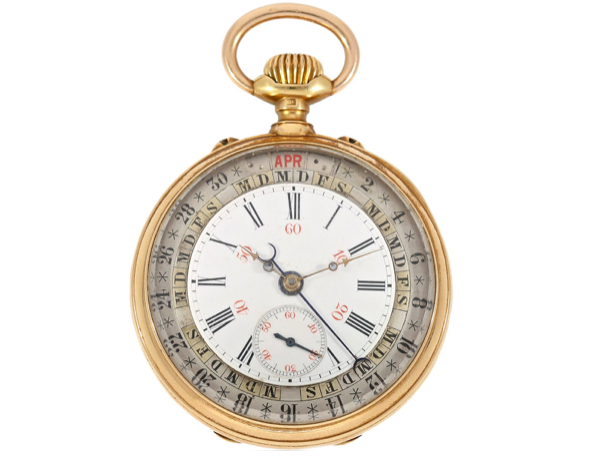 There are 294 items to discover with exceptional pocket watches and wristwatches from sought-after manufacturers such as Audemars Piguet, Rolex, Patek Philippe and Breguet. 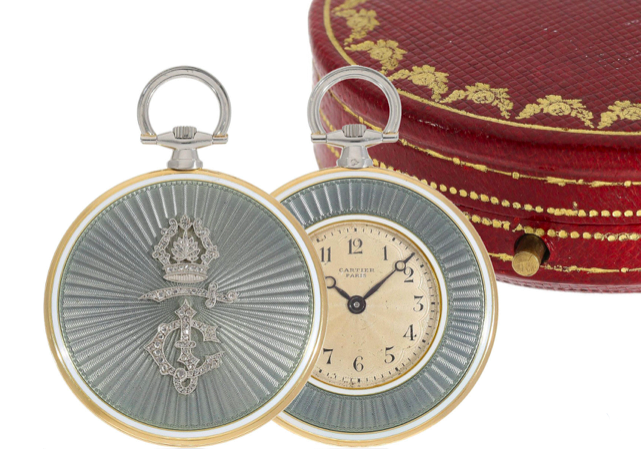 The absolute highlight of the auction is a historically significant and unique pocket watch made by Cartier in Paris in 1910-11. The super flat watch is made of gold, platinum and gray blue guilloche. The reverse is adorned with a diamond-studded Indian princely monogram. In fact, the clock was a gift from the English court under George V, who also bore the title of Emperor of India, to the Maharajah of Kapurthala. This is confirmed by an archive information from Cartier, which is included in the original box of the clock. 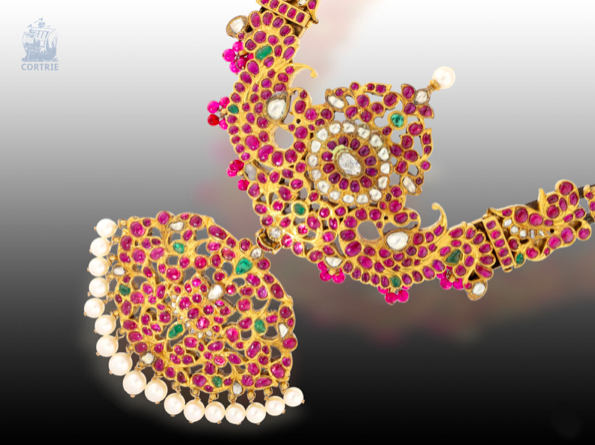 The jewelry sale, on March 17, also holds riches from India. From the southeastern Indian state of Tamil Nadu comes an antique wedding decoration from 1900-1930. The necklace, called Makara Kanti , is made of yellow gold and is completely decorated with Burmese rubies, emeralds, diamonds and pearls. A real rarity from the German town of Glashütte is a previously unregistered pocket watch from Moritz Grossmann, which was completed around 1885 by the company founder himself. In addition to precise movements of the highest quality, the golden watch is equipped with a full calendar according to the patent of Otto Fleischhauer. 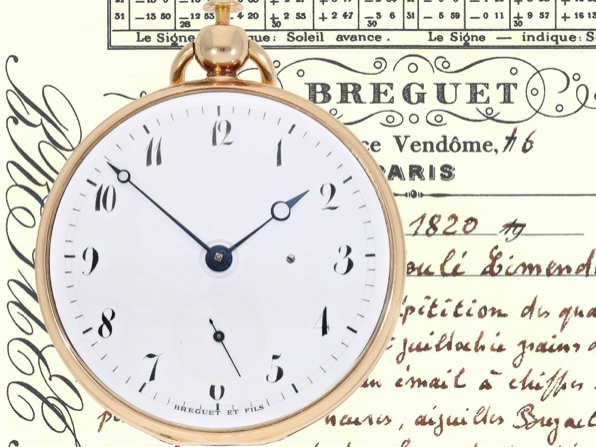 The secret of a simple rose gold pocket watch from Breguet is hidden in its interior: an extremely rare caliber with quarter-hour repetition on special gongs. The watch dates from the early 19th century and was sold in 1820. 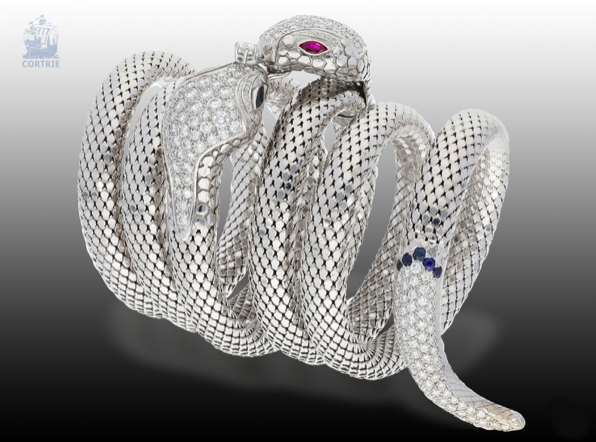 This unique handcrafted snake-shaped bangle is made of white gold and studded with red rubies and sapphires. 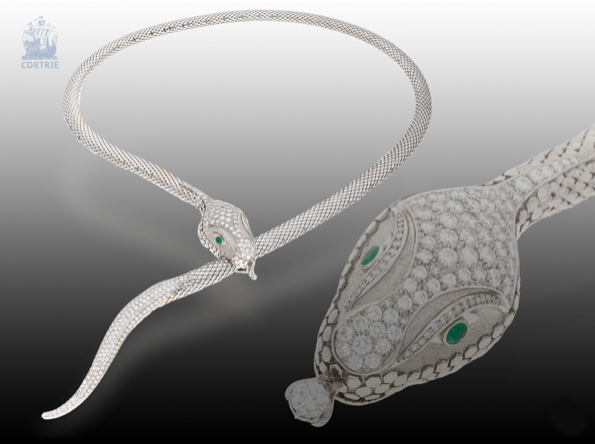 The white gold snake is encrusted with diamonds and emerald eyes. 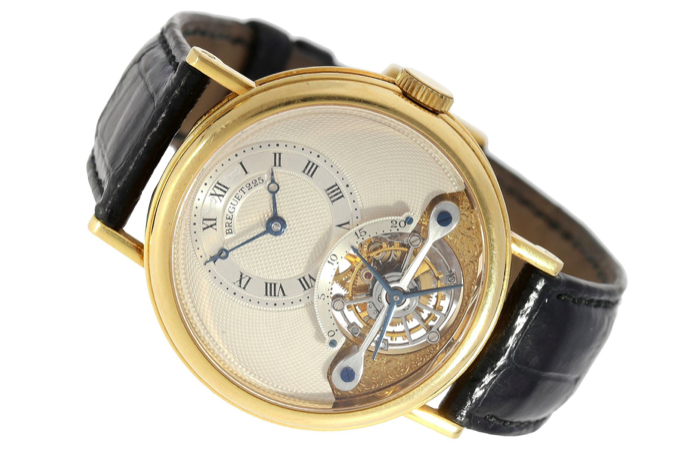 From the house of Breguet comes a tourbillon Ref.3350 BA 12 286 men's wristwatch from 1993 with full plate movement caliber 558 and double-sided glazing. 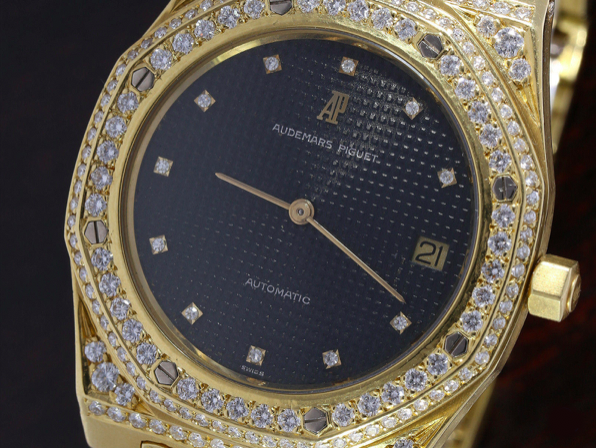 A 1979 vintage rarity by Audemars Piguet features the Royal Oak "Jumbo" Ref. 5402 BA No.448. The golden case was later supplemented with an elaborate diamond trim. 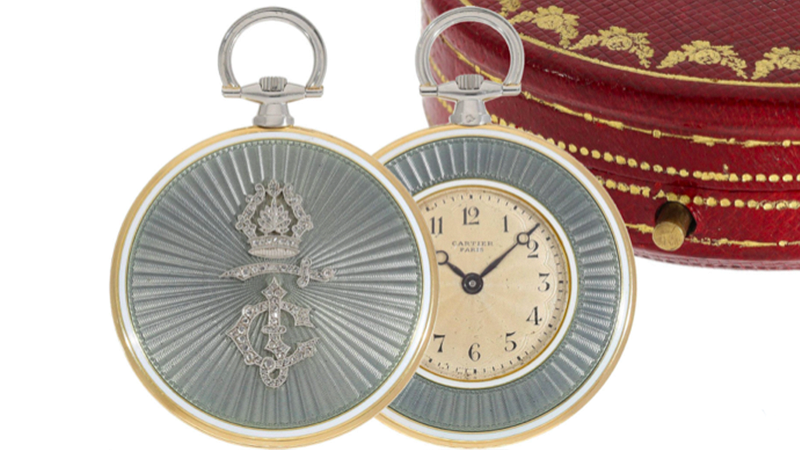 These two enchanting enamel pocket watches were created in London in the first half of the 19th century for the Chinese market. 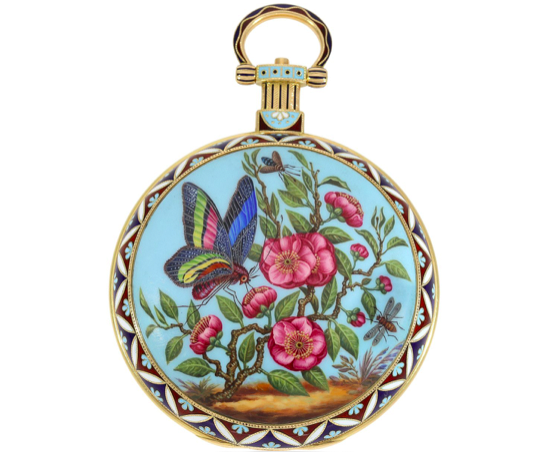 While one of the two watches show a portrait of a woman against a bright red background of guilloche enamel, the second is a detailed enamel magnifying glass painting of a butterfly on camellia flowers. 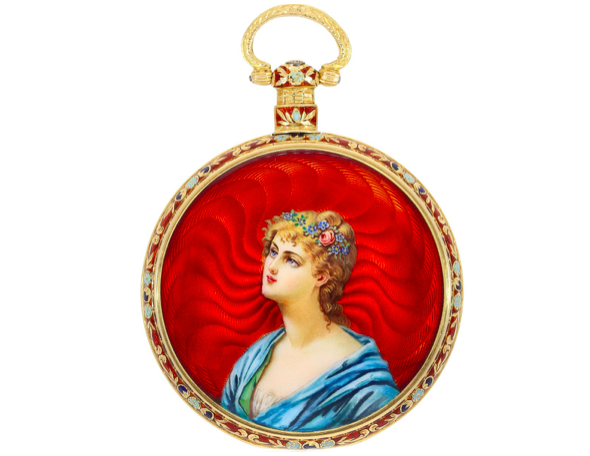 This spectacular pocket watch by Patek Philippe has a different kind of enamel painting in the style of the school of Blois from the 17th century. One side shows a young lady, the other a mountain landscape with river. 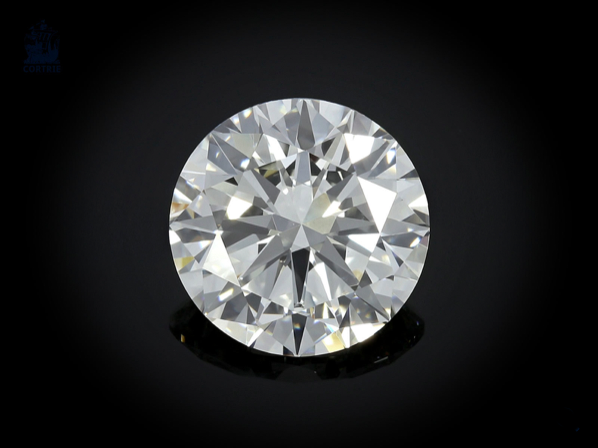 Finally, there is a particularly high quality diamond of 3.05 ct. The stone has high levels of both purity (VS1) and color (G) and has no fluorescence. Discover all current lots of Cortrie here at Barnebys!